It can be argued that the majority of SEGA’s mainstream success originated from SEGA of America. In the early 1980’s the American branch was competent at best, pathetic at worst – The major offender was licensing the entire Master System console out to Tonka. Yes, the same Tonka that makes cheap toy trucks for toddlers. Fortunately things improved with people like Tom Kalinske and studios like SEGA Technical Institute, but those days have also passed and the SEGA of America from the past few years has done little for SEGA’s overall image in recent years. Once Simon Jeffery was replaced with Mike Hayes, things seemingly got better immediately. Due to Mike Hayes being in charge of both the European and American branches of the company this caused much less original output from North America and little to no collaborations with third parties – Something that may hurt the company in the long run. In recent years, it appears as if SEGA of America may have found their niche through digitally distributed games on Xbox Live Arcade for Xbox 360, Steam for PC, PlayStation Network for all supported PlayStation products and mobile platforms such as Apple’s iOS devices and Google’s Android with fairly basic support for Nintendo download platforms. The initial quality of many of these have been received fairly poorly, but they seemed to have turned around with re-releases like Monster World Collection, Game Gear Shinobi, Jet Set Radio and Daytona USA all instantly becoming the best versions of the games yet. Surely a move that will hurt SEGA more than anything is how almost a week after the downsizing announcement none of their ‘numerous’ cancellations have been revealed. IGN had posted an article stating that all games unrelated to the Sonic the Hedgehog, Football Manager, Total War and Aliens franchises were not being released, likely only added to the frustrations with members involved. At this point in time, it can only be speculated as to what is being canceled, but SEGA’s PAX East lineup is the most probable indicator of upcoming announcements, most notably PlatinumGames’ Anarchy Reigns and London 2012 Olympic Games for the current HD game consoles, Rhythm Thief for Nintendo 3DS, Super Monkey Ball: Banana Splitz for the PlayStation Vita and the recently revealed downloadable re-releases of the Monster World games, Revenge of Shinobi, Super Hang-On and Alex Kidd in Miracle World are nowhere to be found. It is completely understandable as to why downloadable ports of much older games might not be shown though, especially with how many of them there are. Regardless, considering how SEGA seems finely tuned at focusing on a strong digital lineup above all else now I have faith these later games are in no danger. Hell Year: Wrath of the Dead Rabbit was already confirmed to be safe, so I am certain no digital games have been canceled. Anarchy Reigns however, I am not so sure. Right from the start I felt Anarchy Reigns had very poor and limited appeal, considering it is a spiritual sequel to a financial failure in 2009’s Wii exclusive Madworld does not help. The fact that it has a very large online multiplayer focus – A market SEGA has been absolutely unable to sufficiently reach since possibly Phantasy Star Online for the Dreamcast in 2000 – Makes the future of the title even more unclear. But because it has been in development so long, shouldn’t it be safe? Yes and no, but it is not that simple. SEGA has clearly spent millions on the title so far and just canceling it would be as if they essentially threw that all away, not to mention it would upset many fans and certainly hurt relations with PlatinumGames, the developers behind the game. Limiting it’s release with no North America version is just about as damaging as it would be if it was not released at all, it’s online components would be practically dead on arrival. I am sure any fan of February’s Binary Domain on Xbox 360 or PlayStation 3 could tell you that it was depressing to see how little people have shown up for the multiplayer in it, locking out a large amount of content to even the earliest of adapters. The pre-order downloadable content many of us had spent a few extra dollars on getting has become useless because barely anyone who picked up the game at launch even cares to turn on the multiplayer anymore. It is frustrating, to say the least. Canceling the game would bring some positives though. Most importantly SEGA would not need to print, ship or market the game, that is likely a few million dollars saved right away. Next they would not need to upkeep servers for both the Xbox Live and PlayStation Network platforms, they would also not need to pay Microsoft or Sony to upload videos, downloadable content for the game or possibly even a demo. The last part is that potentially the game just might not be that good – Previews have been mixed and the last thing SEGA needs right now is a poor selling bad game with little fandom. Remember Iron Phoenix? Yeah, neither do I. Whatever choice made around this game will likely be one of SEGA’s hardest for the year. As far as announced games go, that only leaves titles developed by SEGA themselves. 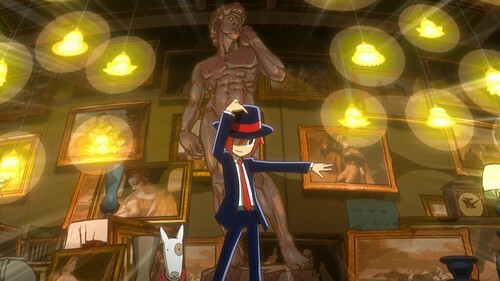 Rhythm Thief for the Nintendo 3DS I also feel has limited and poor appeal, and like Shinobi before it I believe that the game is on the wrong platform. How many successful music games are there on Nintendo platforms? Even those designed and published by Nintendo themselves struggle to find an audience. Who is the game made for? Ascetically it seems designed to appeal to fans of the Professor Laytin series of games, but the frantic and silly styles of gameplay seem much more in line with a Space Channel 5 game. Both of these game franchises have very real, very vocal fanbases, but they could not be more unrelated and they took years of releases to find their niches. Nevertheless, the title launched in European regions yesterday and is already available in many Asian territories. If it is any type of success in Europe I believe SEGA would be sure to bring it to North America as well, only IF it is not released here to begin with. Super Monkey Ball: Banana Splitz is SEGA’s only game announced for an English release on the PlayStation Vita. The successor to the PlayStation Portable is already struggling in most regions and the Super Monkey Ball franchise appears to be on the decline and has never had a successful release on a PlayStation platform. Effort should have been made to have it ready to launch with the console in many regions, but SEGA has not discussed anything about it’s English language release. So what about London 2012 Olympics? I honestly have no clue why they would cancel a game about the Olympics right before the events take place. It can be argued that Mario & Sonic at the London 2012 Olympic Games is all they really need, but a lot of fans do not want to play as cartoony characters. The cancellation of the game would hurt the entirety of SEGA Studios Australia to the point of practical uselessness, and why do that when Australia’s economy is showing faster growth than most of the world right now? I would be extremely shocked to see the title be canceled more than any other game. Before the release of Total War Shogun 2: Fall of the Samurai, SEGA have yet to release a single successful game in 2012. Similar to basically every other video game publisher out there at the time of this tough economic climate, very few games are finding the success they need to continue as franchises. This is especially bad for SEGA as their financial season ends in March, with so many poor selling releases in a row and in such a short amount of time, it is no wonder why SEGA of America was cut back in such a drastic way. Worse yet, I personally believe Binary Domain had the most overall appeal and generally some of the best design SEGA had in their entire lineup of games for 2012. How did Binary Domain fail then? Even if it did have some very good trailers and a solid demo I would quickly say it was not marketed anywhere near as good as it should have been. A large television campaign should have been planned, but a basic example is how the official SEGA blog only has it mentioned a total of 13 times – The exact same amount as Daisy Fuentes Pilates on Wii was, a game that was only released in North America and was only revealed a few weeks prior to it’s launch. But is it that simple? Releasing the game a few days before Mass Effect 3, one of the biggest games of the year for certain, was a bad move, especially considering they are similar genres with comparable design. Perhaps the lack of a co-operative campaign really did damage the game before it was even released? Did it’s inconclusive reviews sway the public from the product? Is the multiplayer handled in a way people want? Do most people care about the setting or games about robots? In the end, the consumers are the ones that are truly at fault, but can you blame them when the majority of video games drop in price so fast this console generation? The upcoming PC release of it is in my opinion the smartest thing SEGA has done this year. How the port turns out remains to be seen, but I believe Steam will give it the following and fanbase it truly deserves. The entire future of the IP rests on this one last chance and I believe it can succeed. So how can publishers like Atlus succeed with extremely niche games when SEGA struggles to translate fan favorites like the Yakuza, Valkyria Chronicles or Virtual-On games? The most important factor is that major retailers notice SEGA as a large publisher of popular games, most of which care about having a large amount of the highest quality, best selling products available. If SEGA were to have several failures in a row, these same retail chains take notice and significantly decrease the stock they order from them. Small publishers like Atlus can depend on their tens of thousands of fans on purchasing all of their games as the majority of them are similar conceptually and design-wise, but the same is not true with SEGA. They require a much larger audience to continue supporting them as they cannot depend on their fans when so many of their games are so different from one another and rarely share the same fandom anymore. There is also the fact that video games are only just a portion of the entire company’s function. So why not just license out the games instead? 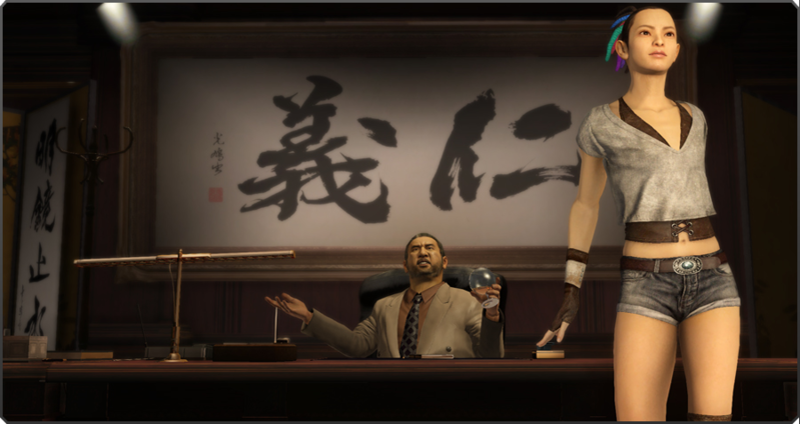 The large majority of franchises involved are created and owned by SEGA, it would look bad to their fanbase and make them seem incompetent if a cheap publisher came out with an English language version of something like Ryu ga Gotoku Kenzan after all of the years peopled have asked for it. And why support your competitors by giving them arguably some of your best games? Games like Hyperdimension Neptunia can be licensed out simply knowing that the quality is not on par with some of their bigger games, but giving out Valkyria Chronicles 3 to a company, only to have fans move elsewhere and their review score ratings surpass SEGA’s is going to mean more than any sum of money could fix. Things had to change. SEGA of America had to make hard choices by limiting the value of their retail releases packaging, establishing relationships with singular retailers and struggling with marketing limitations in a extremely competitive environment. It is easy to blame Simon Jeffery for the recent downfall of the branch, but the truth is that SEGA of Japan has held back a lot of their efforts and possibilities of expansions, even if I would argue that SEGA of America’s PR department is stronger than the majority of the company. The video game industry is growing too fast and budgets are becoming far too high for even some of the world’s best known properties to continue. The next generation of video game consoles is just a few months away and many are likely to make many of these challenges even harder for many game companies. Mobile platforms are booming, but can multi-billion dollar corporations live on 99 cent games and hardware improving to the point that games on your phone will be instantly comparable to full priced retail games? I think it is a bad market to bet on for the long term. However, for right now, SEGA has a solid foundation and with a strong focus on the digital market. I do not believe physical media is in any danger of extinction any time in the near future, but taking a solid effort at the present to establish the foundation is a smart move. SEGA has a lot of experimental releases coming out, such as Sonic the Hedgehog 4: Episode II, Virtua Fighter 5: Final Showdown, Hell Yeah: Wrath of the Dead Rabbit and a plethora of re-releases ranging everywhere from the Master System to recent arcade outings; All of these and more should help craft their strategies for the years to come. But how will SEGA grow? I am not certain. Their upcoming lineup is arguably the most solid as far as console downloadable games go and they seem to have a new strong focus on bringing back many fan favorite games, but is that enough? In markets outside of Asia only focusing on four IPs sounds risky and the worst part is that the Aliens franchise is not even theirs and the license will eventually run out. Can they find another franchise to lean on before then? Probably, but efforts should have been taken to make something like Binary Domain or Bayonetta a successful series before this sort of thing happened at all. It is sad that such an iconic part of SEGA had to be downsized to where it is now, but in the end it was a smart business move. Quick glances over the past five years of SEGA’s progress show that they are in no real danger, just that they are taking early steps in getting ready for the eventual decline of retail video games. People overreacted to the announcement of canceling games and a smaller amount of IPs to depend on, but does it really matter how many franchises they can lean on when each of them make multi-millions of dollars? The future of SEGA is in my opinion a bright one. Although uncertainty of the future of English releases of something like Yakuza 5 are worrisome, I rather the company disappoint than go out of business trying too hard to please all of their fans at once. Efforts should be made to create and support more strong brands, but they are in no immediate danger, unlike Tecmo, Konami or especially Namco. The rest of 2012 is going to be hard for everyone in the industry and SEGA was just one of the first to change their strategy accordingly – Expect more occurrences like this to happen throughout the rest of the year all over the world. I wish everyone involved the best of luck. This entry was posted on April 7, 2012 at 8:33 pm and is filed under AM1, AM2, AM3, AM4, Android, Arcade, Binary Domain, Daytona USA, Digital Download, Football Manager, Hang-On series, iOS, Mobile Platforms, Nintendo 3DS, PC, Personal View, Phantasy Star series, PlatinumGames, PlayStation 3, PlayStation Move, PSN, Ryu ga Gotoku Studio, SEGA News, Shinobi series, Sonic Team, Sonic the Hedgehog series, Sports Interactive, Super Monkey Ball series, The Creative Assembly, The House of the Dead series, Total War series, Valkyria series, Virtua Fighter series, Virtua Tennis series, Virtual-On series, Wii, Wii U, Windows Phone, Wonder Boy series, XBLA, Xbox 360, Yakuza series. You can follow any responses to this entry through the RSS 2.0 feed. You can leave a response, or trackback from your own site.